Seldom does one hear or read of an 18th-century murder mystery. No, it’s clear that that the private commission of and public fascination with homicide flourished in the 19th century— the homicides increasing, the journalistic and fictional fascination growing as the United States and Europe became more and more urbanized. Writers’ and readers’ attention focused on crime in the populous cities of New York and London. In the 1830s, just as new printing technology spawned the first “penny newspapers,” the killings of Helen Jewett and Mary Rogers gripped New York. 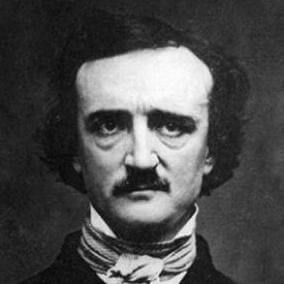 Then Edgar Allan Poe told about the murders in the Rue Morgue, Gallicized Ms. Rogers into Marie Roget, and the detective story was born, to be perfected decades later when a world-famous London sleuth set out on his long fictional career while overshadowing Poe’s man, Dupin. Who doesn’t like a murder story? In my heart of hearts, I might wish to be an academic historian or a novelist who ruminates on deep themes of human existence, but I’m afraid I got derailed a few years ago when I was searching through the online 19th-century archive of The Brooklyn Eagle and found something I certainly was not looking for: a wry 1873 editorial about three young women detained in the City of Brooklyn’s Raymond Street jail on charges of murder. 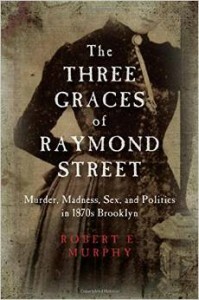 “The Three Graces of Raymond Street,” the item was headed, and so is a book I’ve written that will be published in April. The stories had a “Man Bites Dog” appeal. Not men killing men or women but women killing two men and one woman, all the acts taking place in the same city within about a year and a half’s time. (The Eagle editor, his tongue in cheek, boasted that only Brooklyn, of all the cities in the world, could claim this distinction.) They were deeply interesting cases for a range of reasons. They were mysterious, yes, but only one of the three can genuinely be called a “whodunit.” Each was jurisprudentially important, a page in the history of insanity defense, of the understanding of mental illness and judicial policy toward it, of men’s attitudes toward women, of police practice and political interference in it, of the exposure of increasingly complex and dangerous elements of life in newly burgeoning American cities. Two of the murders revealed details of either delectable or disturbing louche sexual behavior. There was no doubt that the first victim, a factory manager, was shot by the 18-year-old employee whom he had seduced and stalked. It was a compelling story but not fundamentally a mystery. The other killings—of the philandering brother of a prominent politician by one of his paramours, and of a former nun in the home of her onetime convent-mate—were remarkable for the peculiar characteristics of the crime scenes and were tinged with uncertainty about whether the cause of death was murder or suicide. Only the second of these events was followed by a search for an assassin, and this was wonderfully complicated by the interference of a mischievous woman whose role in or knowledge of the murder was an enigma that flummoxed the Brooklyn police department. Charles Goodrich was a 41-year-old widower who had relocated from Albany to New York City in recent years, and, with his brother William, a wealthy lawyer and former assemblyman, had taken on a project to build six brownstone houses in a sparsely developed section of South Brooklyn and moved into one of them as they were being completed in early 1873. One morning in March, William, concerned that Charles had not responded to his ringing either then or the day before, got into the house through its roof-hatch and found his older brother lying dead of gunshot wounds on a basement floor. But what on earth was this? The corpse was nattily dressed, shaved, his hair slicked, and his face and the wounds on the back of his head wiped clean. And he lay prone, his head propped on his boots, his feet inserted only partially in a pair of slippers. A pistol lay at his side. But had he fired it? William didn’t think so. The detectives who arrived did, or pretended to. William was aware that his brother had been involved in an abrasive relationship with a woman but he himself had not met her. And the name he knew her by was fictitious. 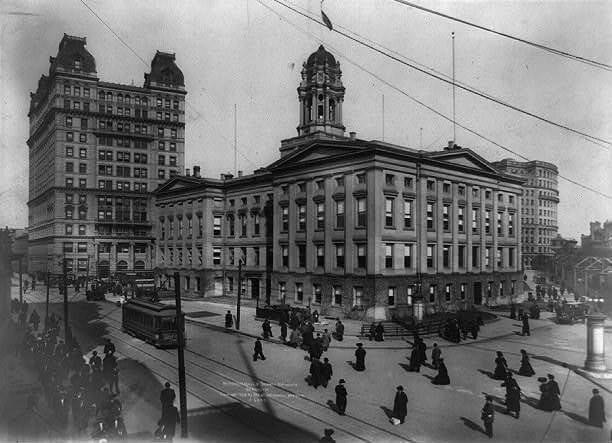 A week later the police, having dropped the suicide theory, seized a woman in lower Manhattan and brought her across to Brooklyn headquarters. She conceded that she had known the dead man and had been to his residence. The citizens of the two cities, gripped by the Goodrich story, assumed she was his killer. But no, she told a coroner’s inquiry, she was not, and she was rather sure who was: an outlaw named Roscoe, a rival of Charles for her attention. The entrance of this woman, a seamstress named Lucette Myers, into “The Adventure of the Womanizing Albanian,” was one of the factors that would inform it as an unusual and compelling murder mystery, as the politically appointed executives of the police department credited Lucette’s account while its chief operatives searched for another woman and, through extraordinary methods, found her and evidence of her involvement. The case would be remembered into the 20th century as the City of Brooklyn’s most intriguing and quintessential 19th-century murder mystery. Posted in Blog Article, True Crime and tagged Poe.